With Government currently considering reducing the alcohol limit for motorists to zero, South Africans are increasingly demanding a safe and reliable way to enjoy a night out without getting behind the wheel. This is the view of Ayub Baker, General Manager of renowned Cape Town taxi company, Sport and its sister brand, Rikkis London Cabs. Rikkis has recently partnered with the Urban Brandy Cocktail Route, which presents an opportunity for brandy lovers to experience and enjoy a customised brandy cocktail menu at five different venues around the Mother City. Rikkis is the official transport partner for the initiative, which launched on 7 March. Rikkis has been commissioned to ferry bar hoppers between the five venues which comprise the new Urban Brandy Cocktail Route. “Over the last 18 months we have seen a significant uptick in demand for transport between bars and nightclubs in Cape Town, indicating that more and more partygoers are cognisant of playing it safe all night on the roads, and are no longer prepared to risk drinking and driving or taking lifts from one venue to another with a friend who has been consuming alcohol,” says Baker. “The clientele Rikkis is currently transporting on the Urban Brandy Cocktail Route is perfectly in line with this trend. These are smart young people who want to have a great night out and are uncompromising about road safety.” “As the official transport partner of the route, our job is to ensure route-goers enjoy the experience fully, and also have a safe trip home at the end of the evening,” Baker adds. Rikkis, founded in 1984, has operated its popular door-to-door London cab service in Cape Town since 2006. Rikkis’ sister company Sport was founded in Cape Town over 24 years ago and today runs a fleet of 40 distinctive red vehicles. Sport and Rikkis promote comfortable, convenient and eco-conscious shared transport and continually strive for the highest levels of safety and service. For more information Rikkis . . .
Passionate paracyclist and Business Liaison Officer for Casual Day, Brunhild Strauss, qualified for a medal by finishing the gruelling Cape Argus 2013. After recovering from the race, he wrote this blow-by-blow account of the race. More than 35 000 cyclists participated in the 36th Cape Argus Pick n Pay Cycle Tour, the largest individually timed cycling event in the world. 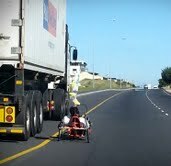 This was my fourth Cape Argus as a person with disabilities riding a handcycle. I am a paraplegic person which means I only have the use of the top half of my body. The race covers 109km and an amazing experience, not only because of the participants but also the people who line the route to give encouragement. This creates such a wonderful atmosphere and the moral support ensures that the participants don’t give up. This year I flew the Casual Day flag. Casual Day, a project of the National Council for Persons with Physical Disabilities in SA (NCPPDSA), made it possible for me to participate this year. The starting line for the 2013 Argus was in Hertzog Boulevard at the Cape Town Civic Centre, the onto the N2, down the M3 along the False Bay Coast past the entrance to the Cape of Good Hope, along the Atlantic coast, over Suikerbossie Hill and on to the Cape Town Stadium in Green Point. In the early morning the paracyclists along with thousands able-bodied cyclists set off, 5 000 at a time. During the chaos we handcyclists are lying close to the ground. We increase our speed over the first few kilometres, realising that the only way to survive is to get into a routine and maintain a certain speed. The Wynberg stretch goes well. Sometimes I keep up, especially on the downhill. That’s when I shout “Keep your line, check left, right”. It’s a nice feeling when I get to pass for a change and other cyclists have to make way for me. Uphill it’s a battle again. The Muizenburg and Kalk Bay stretch has such beautiful views that I forget about the pain in my arms. I enjoy the welcoming sea . . .
Infecting The City is proud to announce an extension of the Festival for 2013. Rained out from its scheduled time, the Afro Galactic Dream Factory will now take place at Hiddingh Hall on Tuesday 26 March at 8.30 pm. The Afro Galactic Dream Factory is an afro-techno audio-visual symphony, a mash-up of musical genres and artistic disciplines thrown into the bountiful void of outer space, the place of our future paradise regained, remixed, re-dreamed and relaunched. 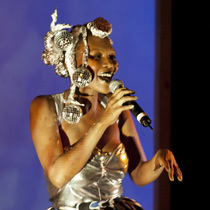 Featuring an eclectic group of artists and musicians brought together by director and producer, Catherine Henegan, the Afro Galactic Dream Factory is performed by Jimmy Rage, Mr Sakitumi & the Grrrl, Masello Motana, Bliksemstraal, Lee Thomson, Ross McDonald, Bongani Magatyana and The Mafrica Mbube Singers. Set in world somewhere in the future, they celebrate the revolution’s evolution beyond the prescripts of racism, war, violence and other earthly limitations. Lest they should forget, they also remember darker days back on earth where these things still existed and prevailed. The Infecting the City Public Arts Festival is presented by the Africa Centre. The Afro Galactic Dream Factory is presented in partnership with the Gordon Institute for Performing and Creative Arts (GIPCA), and supported by the Performing Arts Fund NL. This event will take place at Hiddingh Hall, UCT Hiddingh Campus, 31-37 Orange Street, Cape Town, at 8.30pm on Tuesday 26 March. Entrance is free and no booking is required. For more information, please contact 021 418 3336 or 021 480 7156. URL: http://www.gipca.uct.ac.za/project/the-afro-galactic-dream-factory/ Twitter: Facebook: YouTube: Author: Fiona Gordon from The Famous Idea Trading Co.. Originally distributed by MyPR.co.za. No of Images Uploaded: One To gain access to One image/s please Like, Tweet or +1 this article: [l2g] Images: Masello Motana in The Afro Galactic Dream Factory[/l2g] . . .
Oxford Professor Peter D. McDonald will explore ‘The Space Between’: Ways of Looking at the Art of Xu Bing at GIPCA’s first 2013 Great Texts public lecture on Tuesday 9 April. 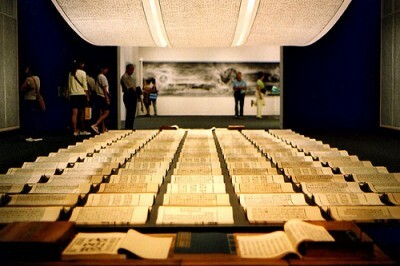 Xu Bing is one of China’s best known and most critically acclaimed artists. Central to his art is language - how it shapes and what it reveals of different cultures. In 1988 he published Book from the Sky - a text that at first glance appears to be written in Chinese characters, but on closer scrutiny reveals itself to be composed in nonsense characters invented by the artist. In 2012 Xu Bing published Book from the Ground, a novel written in a language of icons. His work, which uses a wide variety of media, disturbs the boundaries between writing and painting, book and artwork, installation and performance. It also challenges us to think about the cultures we inhabit in new ways. In this talk, McDonald will reflect on these aspects of Xu Bing’s work and on the vertiginous experience of viewing it. Peter D. McDonald is Professor of English and Related Literature at the University of Oxford. His research focuses on writing systems, literature as a specific mode of thinking, ideas of the intercultural, and literary institutions and the law since 1800. McDonald’s most recent book, The Literature Police: Apartheid Censorship and its Cultural Consequences, appeared in 2009. Great Texts lectures take place on Tuesdays for the month of April. This first lecture in the series will take place on Tuesday 9 April 2013at 17:30 at Hiddingh Hall, University of Cape Town (UCT) Hiddingh Campus, Orange Street, Cape Town, and is free. Refreshments will be served from 17:00; no Booking is necessary. For more information on the Great Texts series, please contact 021 480 7156 or fin-gipca@uct.ac.za. 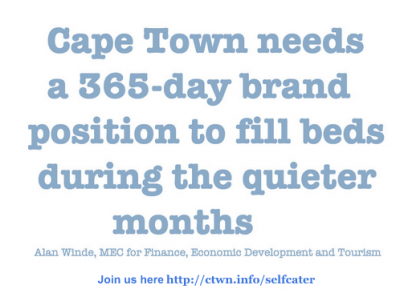 URL: http://www.gipca.uct.ac.za/ Twitter: Facebook: YouTube: Author: Fiona Gordon from The Famous Idea Trading Co.. Originally distributed by MyPR.co.za. No of Images Uploaded: One To gain . 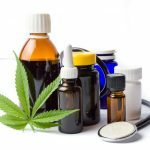 . .
Cape Town based PR and communications agency MANGO-OMC managed all media liaison and partnerships and social media for Infecting the City (ITC) for the third year in a row. Established in 2008, ITC is a vibrant and innovative public arts festival that takes place annually in Cape Town. ITC strives to bring cross-cultural, collaborative, excellent and socially engaged performance and visual art into public spaces; transforming the CBD into an outdoor venue, where art is free and accessible to everyone for a week. Year on year, ITC has grown and in 2013, it presents the largest programme to date. MANGO-OMC is honoured to be part of the festival again this year. Tanner Methvin, Executive Director of the Africa Centre says, “MANGO-OMC really understands the Africa Centre’s culture and the way the Festival is pursued by the public, which is evident from their strategic input and implementation across all relevant communication channels. Performer submissions have grown by 300%, our Facebook presence has doubled and we hope to hit an audience attendance figure above 26,000 this year. Our communications strategy and implementation plays a vital role in ensuring that the general public engage and participate in the Festival.” Issued by MANGO-OMC. For more information, please contact stefanie@mango-omc.com URL: http://www.infectingthecity.com/2013/ Twitter: https://twitter/mango_omc Facebook: https://www.facebook.com/MANGOOMC?fref=ts YouTube: http://www.youtube.com/user/mangoomc Author: Lika Tolken from MANGO-OMC. Originally distributed by MyPR.co.za. No of Images Uploaded: Two To gain access to Two image/s please Like, Tweet or +1 this article: [l2g] Images: Photographer: [/l2g] . . .
Heart 104.9FM, Cape Town’s Beat will be announcing its new DJ line up on the 14th March from 18:00h to 22:00 at the Heart 104.9FM balcony. The fresh new line up will be effective from Monday ,18 March. Celebrity entertainment for the night will include; Heartboxing pop singer and songwriter, Jimmy Nevis; Capetonian female band ,BlackByrd ; and famous Comedian, Marc Lottering. Heart 104.9 FM welcomes Suga into a new time slot from 15:00 to 18:00 for the afternoon Drive show, offering contemporary urban and pop music flavoured with the latest entertainment and lifestyle news. Suga is recognized by her charismatic and bubbly personality that is a firm favourite with so many listeners. From 18 March, Cape Town’s most recognised voice, Diggy Bongz will be looking after Suga’s former programme “In the Mix”, from Monday to Thursday, 19:00 to 22:00. Aden Thomas, Saskia Falken and Clarence Ford will remain in their current time slots. “The plan is not to change too many on-air components, but rather to enhance the listener experience. All this will be made possible with a fresh new culture and vibe of the programming team and great content both on-air and in social media spaces”, says Heart 104.9FM newly appointed Programming Manager Denver Apollus. The 2013 Programme line up is as follows - Monday to Friday: 06:00 to 09:00 : Aden Thomas 09:06 to 12:00 : Saskia Falken 12:00 to 15:00 : Clarence Ford 15:00 to 18:00 : Suga 18:00 to 22:00 : Diggy Bongz (Mon – Thurs only). “My vision for Heart 104.9FM will be to help re-package the entire brand and focus on the core audience who have stayed loyal to the station. They will encounter new experiences with their favourite brand, be it on-air, at events and even in their own living spaces,” says Heart 104.9FM’s Managing Director, Gary Petersen. Keep your dial locked onto Heart 104.9FM - 24 hours a day, Monday to Sunday , or visit www.104.9fm. URL: Twitter: Facebook: YouTube: Author: maya setti . . .
As the season winds down The Old Mutual Summer Sunset concert on Sunday March 24 at Kirstenbosch brings two popular groups to the stage and the promise of a rock ‘n roll afternoon. 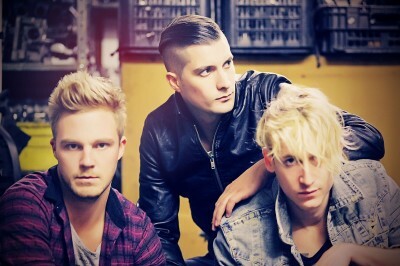 Shadowclub brings a rootsy, bluesy rock to the stage. Inspired by classic rock acts, they are about powerful songs performed with passion. Keeping it simple, the trio, consisting of Jacques Moolman, Isaac Klawansky and Louis Fourie belt out short, fast, banging tracks that are fun to play and easy for a crowd to connect with. Considered a band that exemplifies rock ‘n roll this is a group that has a great future and enormous appeal to all ages. Gangs of Ballet will be opening the concert. The four band members, Brad Klynsmith, Jonathan Rich, Hardus de Beer and Josh Klynsmith, have combined their various individual tastes and styles to create a sound that is captivatingly fresh. Their music cannot be pinned down to any specific genre but rather experiments with an eclectic mix of alternative, melodic, anthemic, electronic and dance. Get your dancing shoes on and celebrate summer at this next concert. Pack a picnic, gather your friends and family and enjoy the backdrop of the most magnificent garden in Africa as the music rocks on. Details: The Old Mutual Summer Sunset Concerts take place at Kirstenbosch National Botanical Garden (RhodesDrive , Newlands, Cape Town) on Sundays from 17h30 – 19h00. Gates open at 16h00 Tickets R85 for adults: R75 for Botanical Society members, R60 for youth (6 to 21 For further information and ticket prices, please telephone 021 799 8783/8620 or visit the website www.sanbi.org or www.oldmutual.co.za/music. Tickets can be booked on www.webtickets.co.za Facebook: Old Mutual Kirstenbosch Summer Sunset Concerts Twitter: @KirstenboschNBG A chance to win: Every week during the series Old Mutual will be running a Green Carpet VIP Experience online competition. The winner will receive: A reserved spot on the lawn for a party of 6; A Green Cab Shuttle Service . . . The Gordon Institute of Performing and Creative Arts (GIPCA) partners with the Africa Centre in Infecting the (Mother) City with public art projects, from 12 – 16 March 2013. Award-winning author Henrietta Rose-Innes discusses her work, Green Lion, and reads a few short extracts. This novel, developed during her tenure as Donald Gordon Creative Arts Fellow, explores extinction and the meanings of animal/human encounters, with particular reference to the historical and contemporary Cape. Beginning at a zoo-like institution devoted to recreating an extinct Cape lion, the narrative traces the relationship between a lion-keeper and the rare and elusive animal in his care. There will be opportunity for discussion and questions from the audience after the readings. Henrietta Rose-Innes’s Green Lion discussion and reading will take place at the District Six Museum’s Homecoming Centre on Tuesday 12 and Thursday 14 March at 18:15. It is presented by The Gordon Institute for Performing and Creative Arts (GIPCA), as part of the 2013 programme for the Infecting the City Public Arts Festival. For more information on the ITC programme see www.infectingthecity.com or www.gipca.uct.ac.za URL: http://www.gipca.uct.ac.za/ Twitter: Facebook: YouTube: Author: Fiona Gordon from The Famous Idea Trading Co.. Originally distributed by MyPR.co.za. 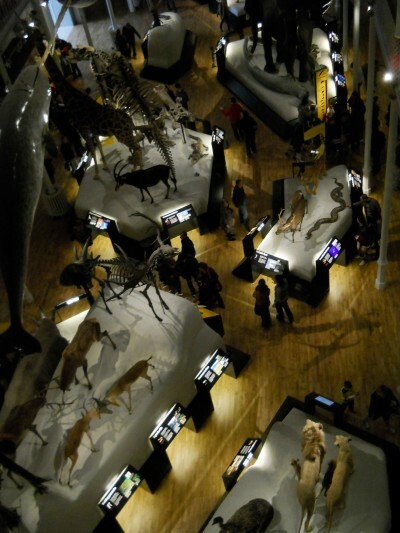 No of Images Uploaded: One To gain access to One image/s please Like, Tweet or +1 this article: [l2g] Images: The Mammal Hall in the National Museum of Scotland Photographer: Henrietta Rose-Innes [/l2g] . . .
BOKKIE IN A SPIN FOR CHARITY Bokkie, South Africa’s favourite mascot, will be pedalling it out at a 25-hour Cyclathon in aid of Habitat for Humanity from 19:00 to 20:00 on Friday 22 February 2013 on the V&A Waterfront Amphitheatre. Local high schools Rustenburg Girls’, Bishops, Westerford and Herschel Girls’ High Schools, South African College Schools and newcomer Rondebosch Boys’ High School have teamed-up with the Habitat for Humanity fundraising team to organise the annual Cyclathon. The 25-hour Cyclathon takes place from 14:30 on Friday 22nd to the 15:30 Saturday 23rd of February 2013. Habitat for Humanity is a world-wide, non-profit, non-governmental organisation that is aimed at eliminating substandard housing in South Africa. One house costs R88 000 to build. This joint venture needs the support of the schools and businesses in the community, as well as the City of Cape Town. For the duration of the two days, there will be seven stationary bicycles on the stage of the amphitheatre. Cyclists participating are from the Habitat for Humanity committee, a variety of schools in the area, the public, various celebrities and representatives from the businesses that sponsor the event. In order to raise money throughout the actual 25 hour period, paper ‘bricks’ will be sold for a minimum of R20. All the bricks sold in the hour are placed in a box and the MC, Michael Moll, will draw eight bricks every hour on the hour. Buying a ‘brick’ puts you in the running to win the most wonderful and aspirational prizes. Throughout the Cyclathon there will be entertainment by various bands including Oxygen Thieves, Brother Streep, Juke Royal, Grassy Spark, System Renegade, Ballistic Blues, The Desperates, Early Hours, Changeling, Zars of Russia, Black Stone Radio. The public are invited to join Bokkie and other celebrities, as we all grow to become a powerful force in the movement of change in our community. Ends. 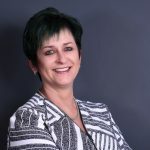 Contact for Bokkie: Carol Vosloo – . . .